Because of tough economic times, fewer people can afford to keep their pets. So the number of homeless animals in and around Springfield is increasing dramatically. Pets to Go is a nonprofit, no-kill animal shelter serving the Springfield area. Our mission is to give these homeless animals a second chance through our rescue, shelter, and adoption programs. Take a A look at some of the adorable pets pictured here . . . and decide if you want to add a new member to the family. If you’re looking to bring some love and joy into your home, look no further than these two girls. They’re 6-month-old rescues — amazingly sweet and loving. They’re affectionate (big-time purrers and cuddlers), playful, and endlessly entertaining. They are also healthy, have had their shots, have been spayed, and are litterbox trained. Because they’ve bonded to each other, we’d like to keep them together. Astro is a sweetheart, but he’s very scared right now. Come meet with him and see what a great guy he can be. Mybe you can give him his forever home. For information about Astro, call Jessica at Pets to Go (555) 555-5555. CINDY: 3 years old, spayed female. Shepherd mix, 40 lbs. Cindy came to us because her family was splitting up. She’s never gotten the attention a young dog needs. Cindy is super playful. She loves toys. She’s smart and extremely active. I am inserting an edit here to see how it works. 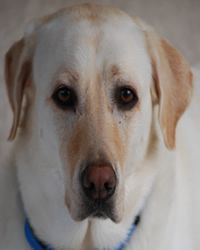 RASCAL: 7 years old, neutered male, yellow lab, 75 lbs. 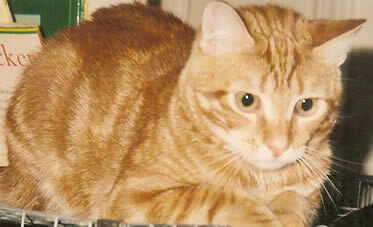 RASCAL: Rascal was “surrendered” to us by his owner, who had lost his home to foreclosure. He’s great with other dogs, and he loves people, going for walks, running and playing Frisbee. He’s good with children and enjoys riding in the car. He has a cute habit of standing on his haunches and gently giving you his front paws. Rascal shouldn’t go to a home with cats, because he tends to chase them. Our vet has taken care of all Rascal’s vaccinations, removed his dewclaws, and microchipped him. He’d make a wonderful family dog. Saturday Dec 4: Our annual Adopt-a-rama open house from 10:00am to 4:00 pm. Monday Dec 6: Volunteer training from 6:30 pm to 8 pm. 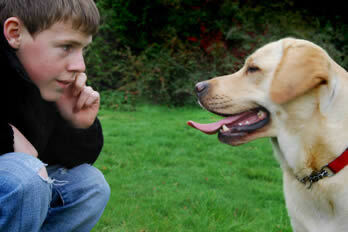 Tuesday Dec 7: Obedience 101 class from 6:30 pm to 7:30 pm. You must be enrolled to attend.